For easy and efficient ploughing. Conventional mounted ploughs equipped with stepless furrow width adjustment, manual or hydraulic. Increase your capacity by 30 % while saving 20% fuel! Under difficult conditions one or more bodies can be locked in a parked position. 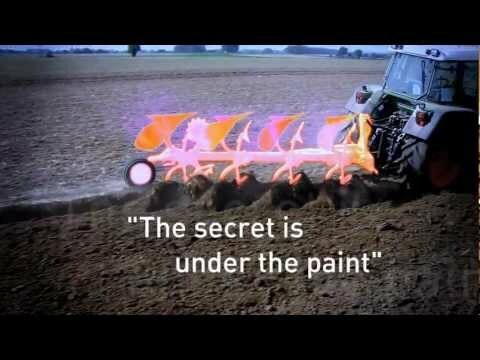 The plough can grow with the size of your tractor by adding 1 extra furrow. Mechanical front furrow width adjustment is standard. However, a hydraulic cylinder is recommended for ploughing on side slopes to control the front furrow width "on the move".